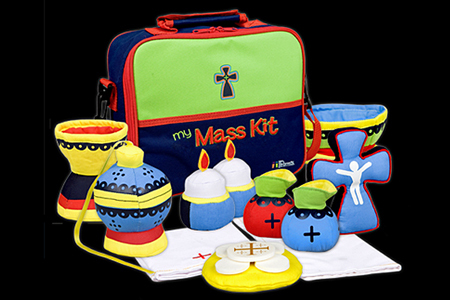 It's Sunday morning, Mass is about to start, and what better moment to let the kids break out their My Mass Kits? Think what a blessing it will be to people around when your offspring start swinging their cotton/polyester thuribles, processing crucifixes in the aisles and distributing nylon hosts. Warning: transubstantiation may occur if My Mass Kit is touched by a priest.